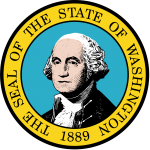 The Washington medical power of attorney form gives the principal the option to formally choose someone who is to be an `Agent` to make health care decisions for them. The principal may limit the powers of the agent as well as adding other medical health care preferences which are personal to them. 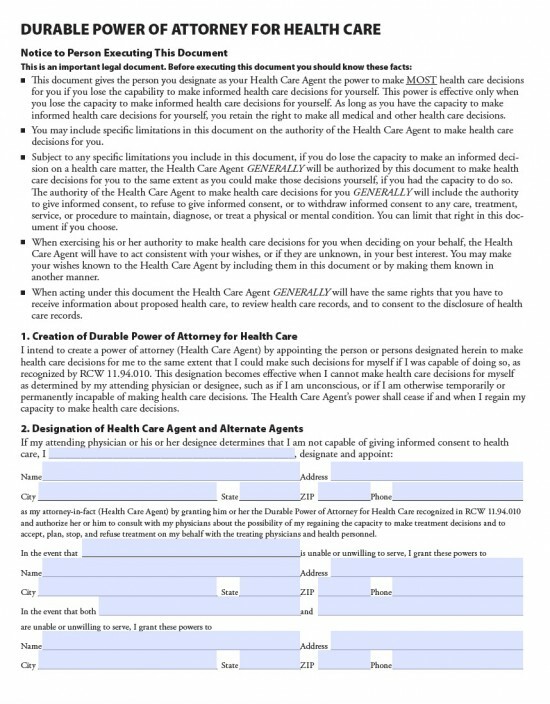 This power of attorney is in case the principal becomes so ill that they are incapacitated to a point that are no longer able themselves to make their medical health care choices, this can be for example due to a coma or permanent brain damage. It applies in accordance with US statutes §11.94.010 to .901. The details of an appointed agent must be entered. The principal must print their name at the top of page 2. The principal may enter details of any other special provisions they have regarding their medical health care. The notary`s details must be entered.